Just last week, I finished off the post on the pretext that I will be sharing the new miniature roses I have brought in, in the next post. While I visited the plants seller, these miniature roses appealed to my eyes quite a lot. As the roses are among the plants I like the most, roses almost always tend to make me purchase them. 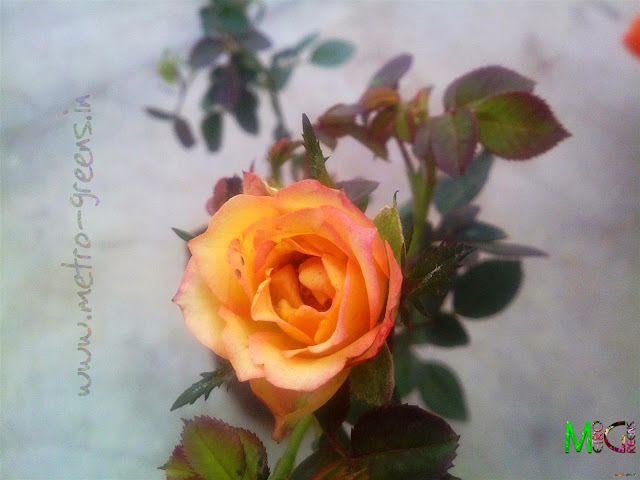 My love for roses is such that among the plants in my garden, most of the plants are roses. Going by the numbers, I currently have four red rose plants, one orange (two more cuttings might be ready, and begin blooming in a couple of months), a pink one, another plant, that's about three years old, but yet to bloom, and a couple of other rose plants died in the summer, including one that used to bear dark pink roses, blooms of which curled the petals back as they grew older. 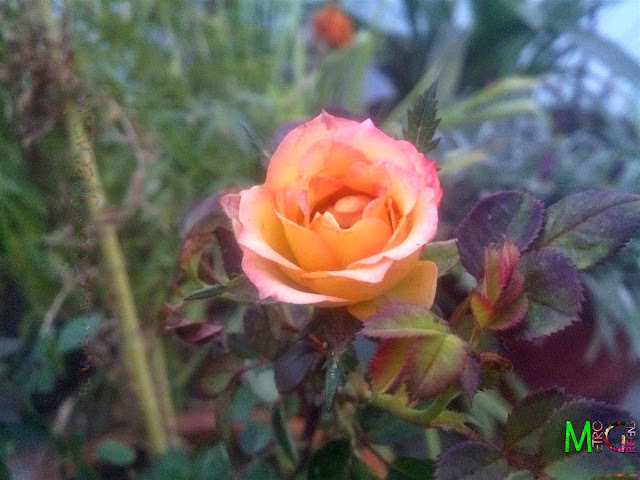 This time around, I bought two miniature roses, one in creamy white colour and an orange one. White roses have managed to betray me. 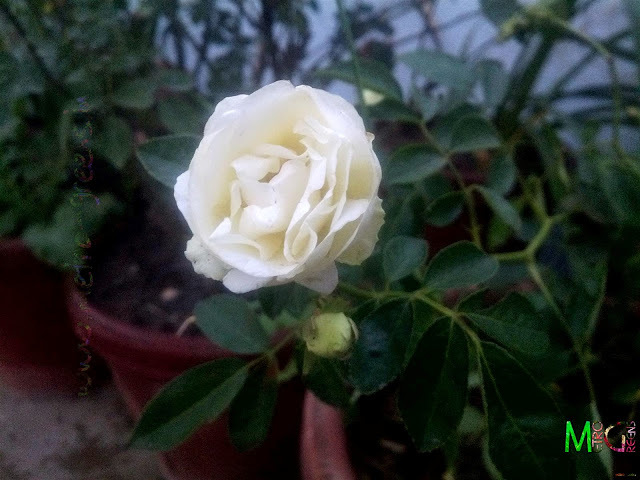 in the last four years, I have bought white rose plants, atleast thrice, and none of them managed to live enough to give me blooms. So, as I saw the creamy white rose, I had to get it. 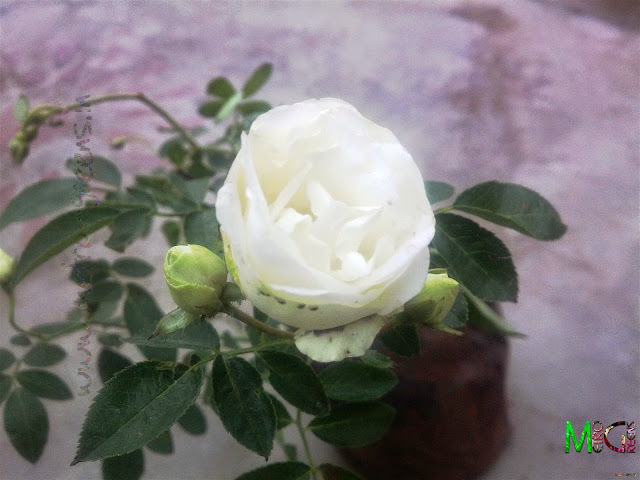 In addition, the prospect of adding miniature hybrid roses, which are supposed to give small sized but profuse blooms had to be brought home. And, here they are. For now, the weather is not at its best to have new plants, with the minimum temperatures here falling to around five to six degrees, and expected to decline further, to around the zero degree mark. The dense foggy conditions, make it really hard for the new plants to survive the hostile weather conditions. Here are the roses. Though, I have transferred both of them to pots, I do not expect any to start blooming profusely, but, as the winter conditions recede, and temperatures climb a bit to the higher side, I can expect the plants to grow and start blooming around late January till end of March. 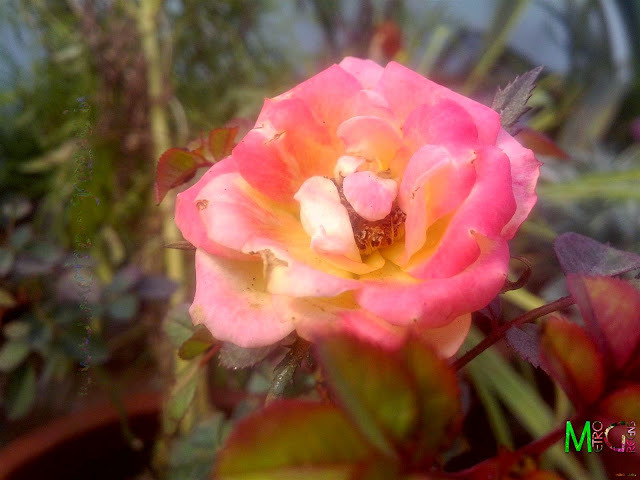 My other rose plants, the orange one, the red ones and the pink one, all have started blooming these days, with the pink roses, that used to have comparatively small sized blooms, too have started bearing blooms with quite enough size. Maybe, in the next post, I will get back with the chrysanthemum blooms, that are in full bloom these days. The creamy-white and orange chrysanthemums are presenting a delightful view on my rooftop. I will be back next week. Till then Keep trying and HAPPY GARDENING! I love roses. Whenever i get my hands on any kind of rose, either from a bouquet or our own little garden , i put it in my hair. We had a hybrid variety of rose that was off-white in colour and the inner bud was peach in colour. 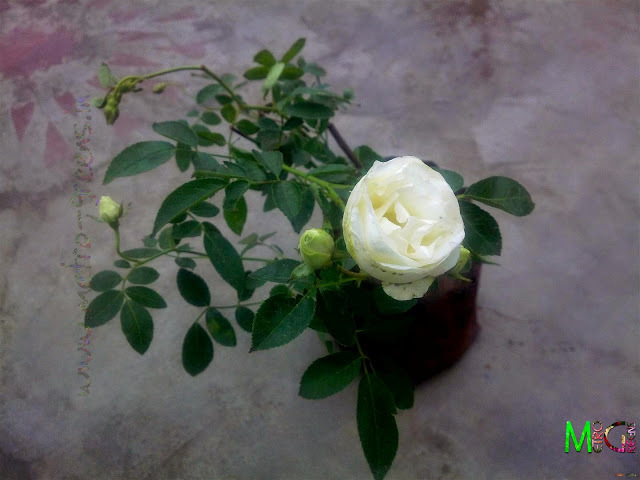 It was an easy - to -grow plant as we had dozens of roses daily, at any given point of time. Sadly , it is now dead.